Add extra layer of comfort to your cushions with our soft and durable square cushion pads in a pack of 6. 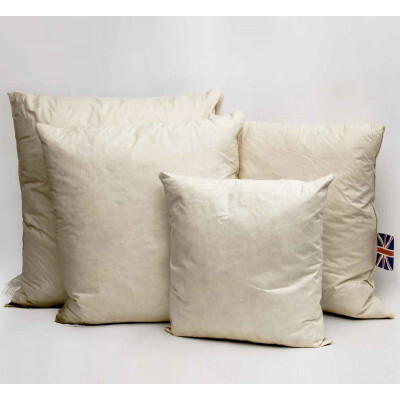 This fabulous cushion in 6 packs will definitely add value for your money as they are packed with duck feathers. Duck feather fillings are extremely soft, fluffy and bestow excellent bodily support. Cased with supreme cambric cotton, they endow you with smooth and soft touch. Our 6 pack square cushion pads are available in various sizes. You can pick the sizes that suit your need and requirement.